This trike is made with heavy-duty steel. The "U" for the front wheel is 3/16" thick and 2" wide. Ball bearings are used for the wheels and steering. Axles are 5/8" steel. The front wheels are 13" +4" air tires. Rear tires are 10" air tires. The seat is adjustable. Wide air tires for both front and rear wheels. 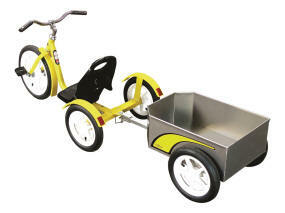 Also available is a mini-trailer with racks which hitches to the rear of the trike. See below for details. Some assembly required. Specify your color (red, blue, green, pink) in the Comment box that appears during the Checkout process. The front wheels are 16" +4" air tires. 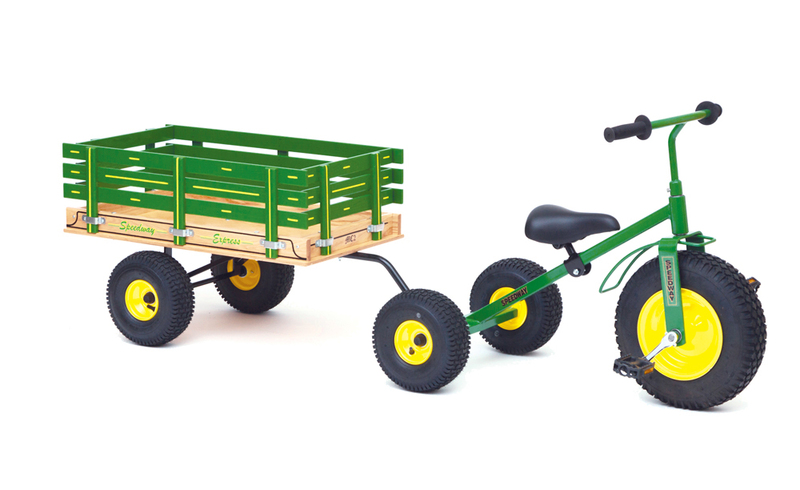 The Chopper is a tricycle built to last. 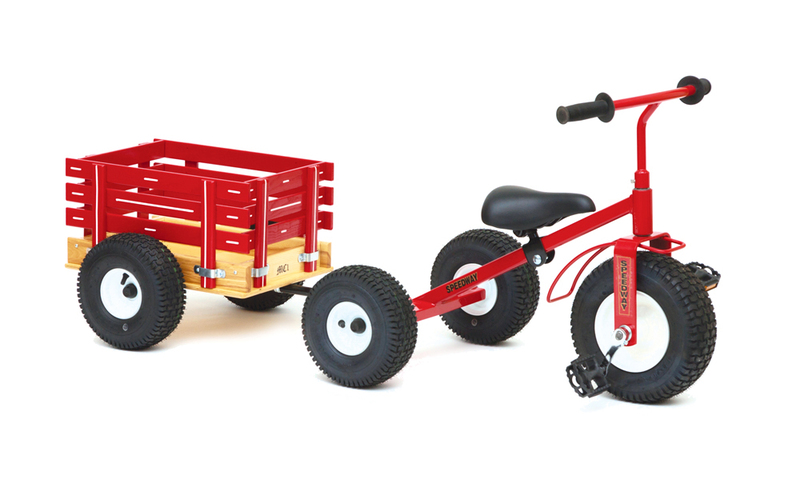 Made with an all steel frame with a powder coated finish and air tires: 16" front and 12" back. The black plastic seat is adjustable to four positions, which makes it a one-size-fits-all ride. Weight limit is 150 lbs. Ages 3 to 12. Specify your color (red, blue or yellow) in the Comment box that appears during the Checkout process. Bed Size 14" x 20"
Note: Specify your color Red, Green, Blue, or Pink in the comment box which appears during the Checkout process. Bed Size 19" x 33"
The Chopper with optional cart. Colors: Yellow, Blue, Red. 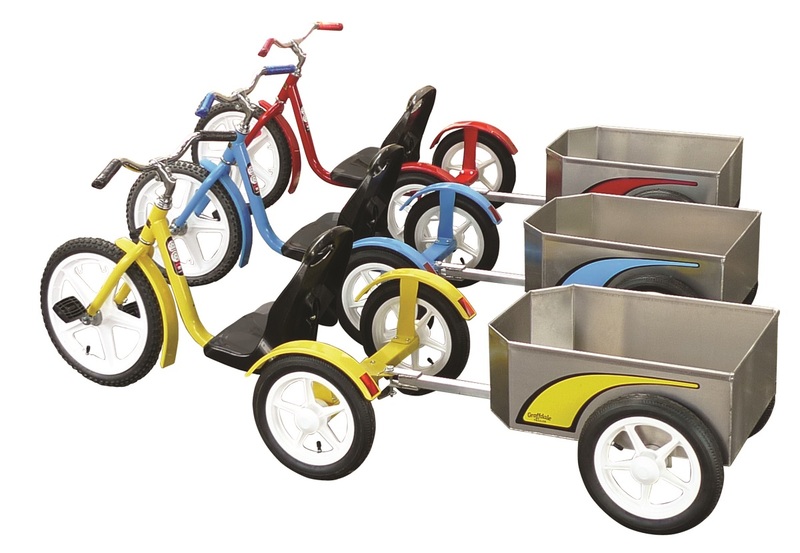 Call 484-722-8259 or email for information on the optional cart. 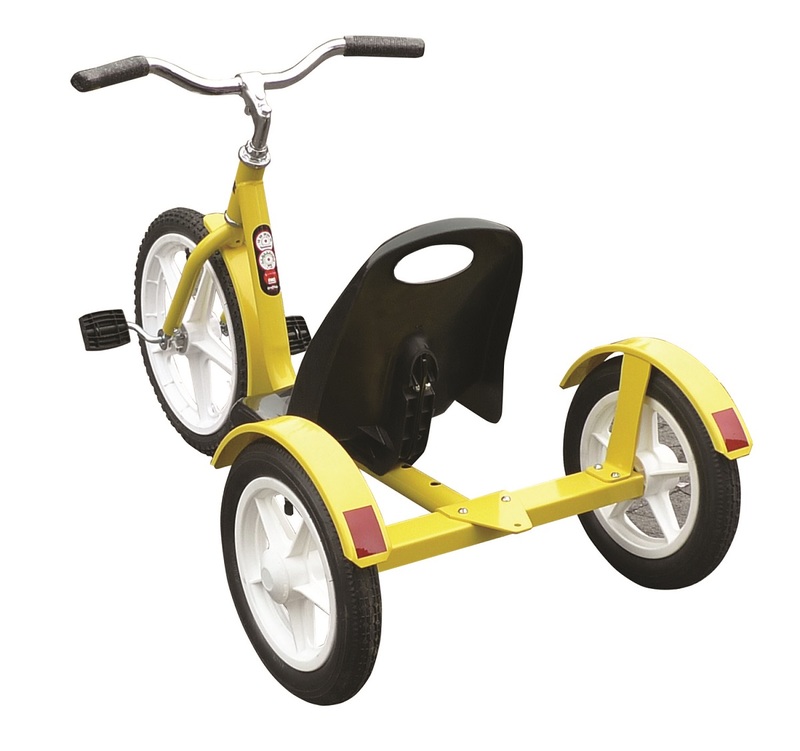 The Chopper in yellow with optional cart. 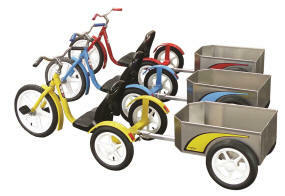 Call 484-722-8259 or email for information on the optional cart.